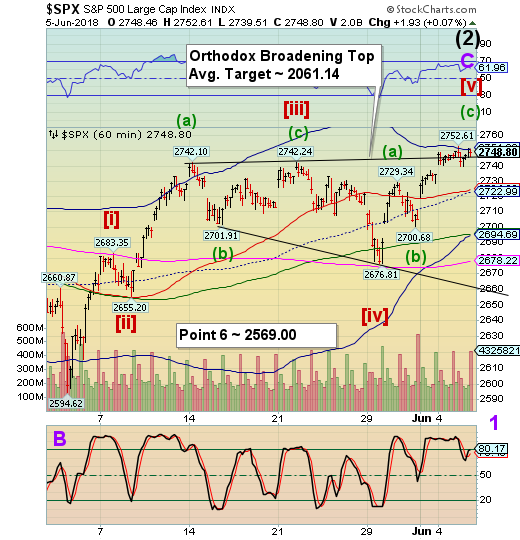 SPX futures are higher this morning as they progress toward their ultimate target at/near 2762.00. The Cycles Model has tomorrow tagged as the turn date, but we should see waning strength and possibly a turn in the indicators as early as today. The hourly Trading Bands are very tight, suggesting a reversal is coming in the SPX. VIX futures have made a new low at 11.63 this morning. 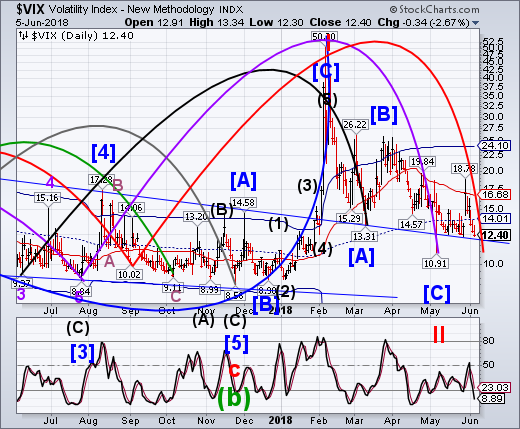 Today is day 278 of an extended Maser Cycle and the second time that VIX has gone beneath the 2-year trendline. Of course, the Algos have crisscrossed the 2-year trendline on the SPX multiple times already. Today is also a Pi date (314 days from the July 26 low), which punctuates the potential turn date with even more emphasis. 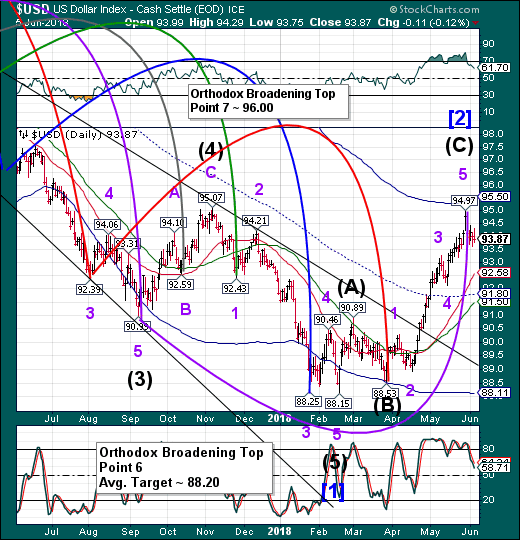 TNX is higher this morning, having surpassed the 50% retracement level at 29.37. This opens the possibility of a 61.8% retracement at 29.79. 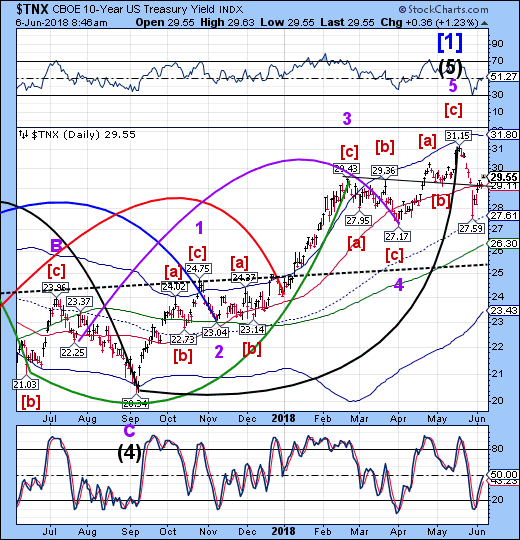 Today is a minor turn date for treasuries, but there are indications of growing strength in the bond complex starting next week, with yields declining. Bloomberg comments, “The rebound in the U.S. bond market in recent weeks that pushed yields on 10-year Treasuries back below the psychologically important 3 percent level has made the bond bears very happy. Yes, the bears. Rather than capitulating, some new data suggests that the bears see the rally as an opportunity to set up new positions betting against bonds at more attractive levels. USD futures have resumed their decline this morning with a low of 93.53. The Cycles Model suggests there may be weakness in the USD through the month of June. Today may be an interesting day in the markets.